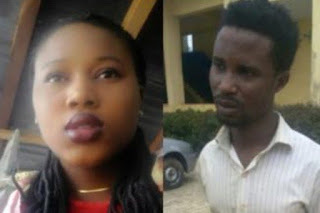 The family of Confidence Nwanma, who was killed by her boyfriend has insist that the killer boyfriend must marry the corpse of their daughter in line with the tradition of the family. The victim whom was stabbed to death sometime last week by her so called boyfriend, Saliu Ladayo, at Oshinle area of Akure, the Ondo State capital following a misunderstanding that occurred between them. The father of the deceased, Mr. Jude Nwanma, who spoke with newsmen in the state at his residence at Oke Aro, Akure, said the traditional rites must be carried out in their hometown in Oru East Local Government Area of Imo State before burying the late daughter. According to Mr Nwanma; “In our place, it is mandatory that the man must marry the corpse of our daughter killed in cold blood. We must perform the normal traditional rites by taking the corpse to our village where the marriage would take place. “It is mandatory that he pays everything in double the normal. He would perform all the traditional rites before our family would let him go. This is because, without this traditional rites, every young person from the family of the boy would never get to the age of our daughter, but must die a sudden death just like our daughter. The state Police Public Relations Officer, Mr. Femi Joseph confirming the incident said the suspect would soon appear in court. The PPRO, “The suspect was asking the girl to date him which she refused. The suspect claimed that the deceased embarrassed him publicly which infuriated him, and he stabbed her, leading to her death.